CLEANER 33 is a 100% Bio Natural Cleaner non corrosive and non regulated. Specially formulated for use on all surfaces including natural stone (Limestone, Travertine, Marble, Granite, Quartz, Slate & Sandstone)Terra Cotta, stucco, pavers, concrete, veneer, tiles and grout surfaces. To clean grease, rust, efflorescence, mildew, mold and stain. ALL PURPOSE CLEANER - Unscented safe cleaner for kids, pets and food areas. The perfect all around natural house cleaner for any method of cleaning! WORKS ON ALL SURFACES - Including tile, stone, carpet, countertop, appliances, walls floors, glass, quartz, mirrors, & wood. BIO NATURAL FORMULA - Effectively removes food, soda, juice, grease, oil, sugar, pet accidents, fingerprints, footprints, lipstick, tree sap, grime, adhesives, soap scum, dirt, spills, streaks, residues, and just about anything you can think of. It's fantastic! 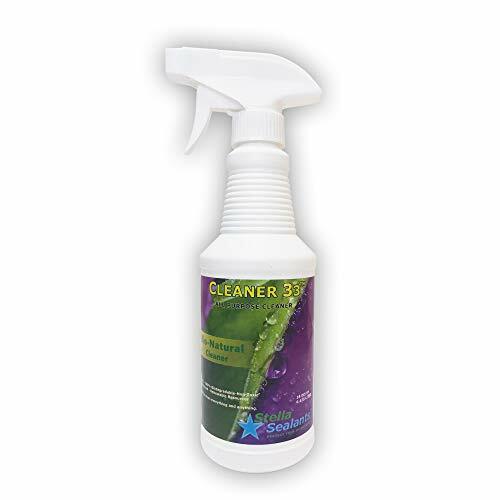 If you have any questions about this product by Cleaner 33, contact us by completing and submitting the form below. If you are looking for a specif part number, please include it with your message.